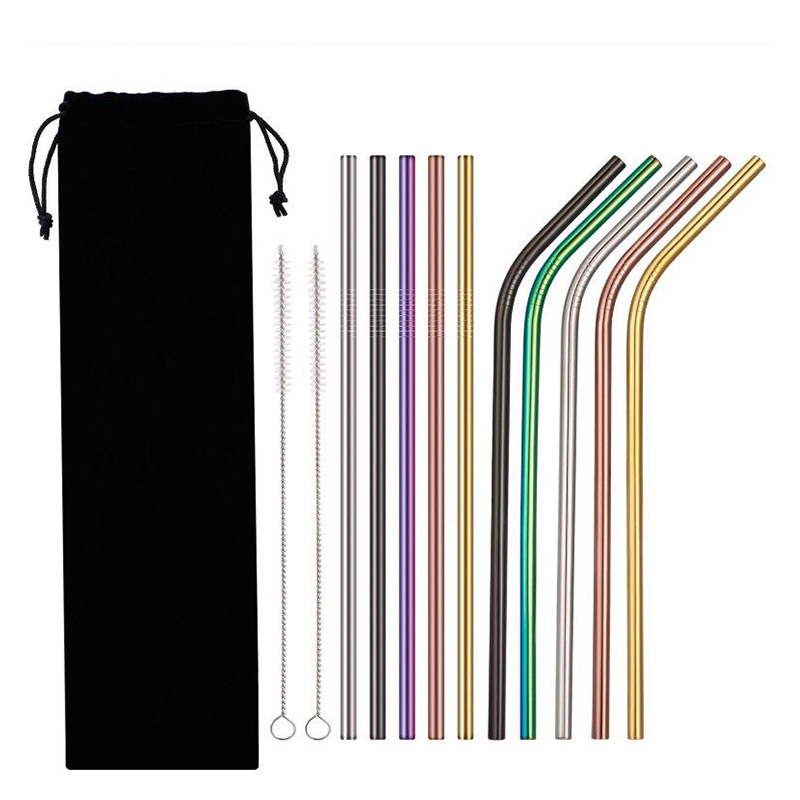 Add to your waste free, environmentally conscience lifestyle by using Reusable Stainless Steel Straws. It's time to make the switch from disposable to sustainable and invest in healthier and more environmentally friendly alternatives. -DURABLE & REUSABLE - Made from hygienic high quality Stainless Steel designed to last a lifetime. -ENVIRONMENTALLY FRIENDLY - The perfect solution to disposable plastic straws. -COMPACT & LIGHT WEIGHT - Supplied with a drawstring bag-easy to transport in a handbag or backpack. -SAFE FOR CHILDREN - No more worrying about the risks of plastic on our health. -DISHWASHER SAFE - For easy cleaning and supplied with Cleaning Brushes. -IDEAL FOR ANY OCCASION - Unique and trendy-the perfect accessory to enjoy your favourite drink. -PERFECT PRESENT - What better way to show someone you care by sharing a gift of style and sophistication all while caring for the environment.